Our prompt for today, Xenolith, will not be an easy one. I had to search on the Internet to find something about this prompt. And I found the following about Xenolith at Wikipedia. A xenolith (Ancient Greek: “foreign rock”) is a rock fragment which becomes enveloped in a larger rock during the latter's development and hardening. In geology, the term xenolith is almost exclusively used to describe inclusions in igneous rock during magma emplacement and eruption. Xenoliths may be engulfed along the margins of a magma chamber, torn loose from the walls of an erupting lava conduit or explosive diatreme or picked up along the base of a flowing lava on Earth's surface. A xenocryst is an individual foreign crystal included within an igneous body. Examples of xenocrysts are quartz crystals in a silica-deficient lava and diamonds within kimberlite diatremes. 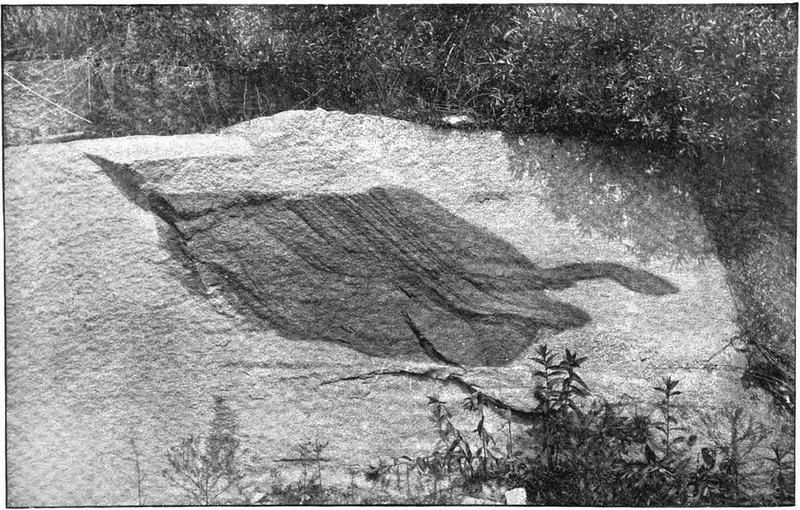 Although the term xenolith is most commonly associated with igneous inclusions, a broad definition could include rock fragments which have become encased in sedimentary rock. Xenoliths are sometimes found in recovered meteorites. Xenoliths and xenocrysts provide important information about the composition of the otherwise inaccessible mantle. Basalts, kimberlites, lamproites and lamprophyres, which have their source in the upper mantle, often contain fragments and crystals assumed to be a part of the originating mantle mineralogy. Xenoliths of dunite, peridotite and spinel lherzolite in basaltic lava flows are one example. Kimberlites contain, in addition to diamond xenocrysts, fragments of lherzolites of varying composition. The aluminium-bearing minerals of these fragments provide clues to the depth of origin. Calcic plagioclase is stable to 25 km depth. Between 25 km and about 60 km, spinel is the stable aluminium phase. At depths greater than about 60 km, dense garnet becomes the aluminium-bearing mineral. Some kimberlites contain xenoliths of eclogite, which is considered to be the high-pressure metamorphic product of oceanic basaltic crust, as it descends into the mantle along subduction zones (Blatt, 1996). October 10th at noon (CET). Have fun ... be inspired and share ... Our next week's prompt will be "Youngsters".